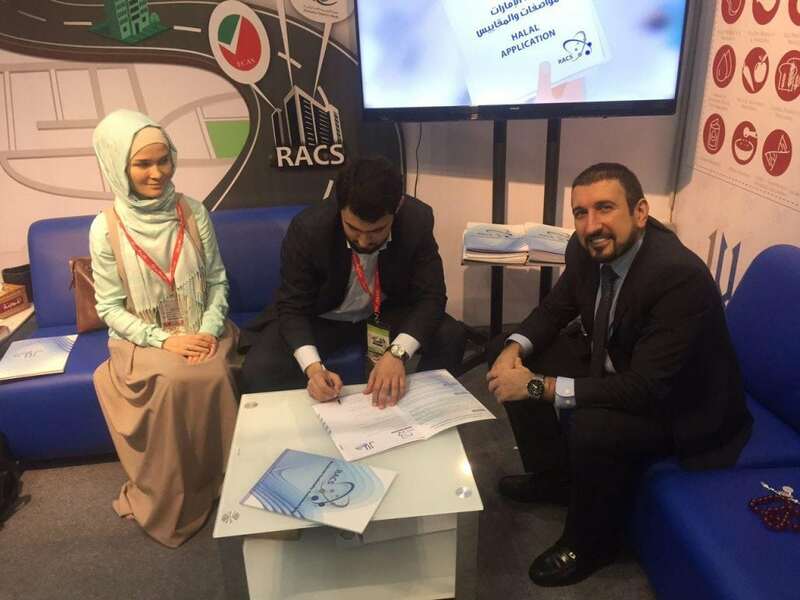 Hamed Jamal, director of the RACS company, and Kirill Skogorev, general director of Alif Consult, have signed a Memorandum on mutually beneficial cooperation. From now on the partners will work together on preparing companies for certification in the UAE and bringing certified companies to Moscow Halal Expo. The agreement was reached at the meeting during the international Gulfood exhibition, which took place at the end of February in Dubai. RACS is an international company that offers halal certification and works with different laboratories conducting tests of product samples. The company has been accredited by the state institution responsible for halal certification of products imported to the UAE. The United Arab Emirates nowadays represent a real foothold for importing products to other Gulf countries, this is why the export of halal products to the UAE is a promising business for any company willing to enter the global market in the halal segment. The Moscow Halal Expo exhibition held annually in Moscow helps local companies enter the international halal market and find foreign investors and partners. Cooperation with RACS might open up opportunities for many Russian manufacturers. This year the Moscow Halal Expo organizers visited one of the RACS laboratories and had an opportunity to personally see the hi-tech equipment of the facilities. The visitors had a guided tour of the laboratory and were given detailed information about its working principles.